A vape starter kit is great for anyone new to vaping. Even experienced vapers can be a little overwhelmed with all of the different mods, options and devices available. 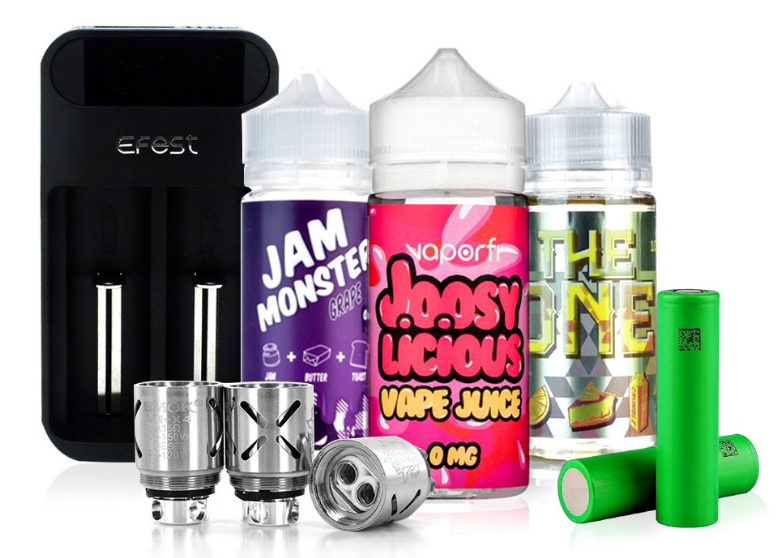 The good news is that many manufacturers – including industry leaders Kanger, Eleaf, Smok, Sigelei and more – have put together kit packages that make getting started a breeze. Vape starter kits often come with everything you need to get started, such as a mod, compatible tank and atomizer. 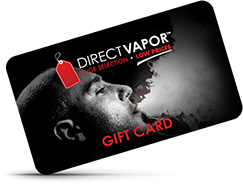 DirectVapor is also proud to sell our own bundled kits, including vape pen mod kits and exclusively selected sub-ohm and temp control options to fit your needs. Starter kits are categorized according to a number of characteristics that help shoppers find the devices best suited to their needs. For instance, in the beginner starter kit category you will find a number of introductory devices that have relatively low power and streamlined functions. Our box mod kits is a huge category that includes just about any device that is not a pen-style vaporizer; these devices offer more range and options. Sub-ohm starter kits are designed for vapers who enjoy very large, dense clouds of vapor; these devices are typically reserved for advanced users due to their complexity and high power ratings. Temperature control kits are a great step up from pen style vapes before you head into the sub-ohm category; these devices will help you get familiar with navigating menus, tracking your vaping stats and making small adjustments to your vaping style. Ultra-portable starter kits feature devices that have been scaled down for easier transport; there is a slew of micro and mini vapes available these days. 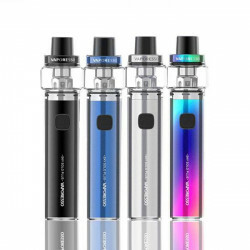 E-cigarette kits are the simplest devices of all, made to look like traditional cigarettes; these generally use pre-filled cartridges and do not have as much range or functionality as a beginner vape pen. Finally, bundled starter kits come with a selection of premium accessories, e-liquids and other products to get you a great deal. Here at DIRECTVAPOR we take brand loyalty and authenticity very seriously. That's why we took our time selecting manufacturers with trusted names who stand behind their products 100 percent, and produce the most powerful and reliable vaporizers in the game. With names like Kanger and SMOK dominating the high end of the spectrum, we also made sure to throw in some solid entry-level names as well. VaporFi, Eleaf and Innokin all made our list. These brands represent a wide swath of the vaping community and have earned their reputation with years of incredible service. You will find dozens of reviews covering each of these brands if you want to see for yourself how they hold up. Of course, our No Clone Zone promise is always in place to ensure that you are getting real devices and never counterfeits. If you're searching for the best place to buy starter kits online, DIRECTVAPOR is what you've been looking for. We have team members and reviewers standing by to help you find the best starter kits for beginners, the newest vape pens, and more. 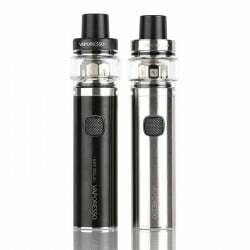 When it comes to selecting the best vape kit for you, you need to take into account your current experience level, as well as your ability to adjust to new technologies. Some people will advance to a more powerful vaporizer quickly, while others decide to stick with a simple vape pen forever. The most important thing to remember is that it's about finding what's comfortable and functional for you. Don't overspend or overbuy just to impress other vapers if you are not actually going to enjoy the experience in the end. While you're shopping, make sure to pay attention to which accessories are a match for your device. Oftentimes, manufacturers create specific tanks and coils for each device to ensure the most reliable results. While you may interchange some of these components, you should start with the manufacturer's recommended configuration before you start experimenting – otherwise, you may get the wrong idea of what a vaporizer is capable of. As mentioned, DIRECTVAPOR offers a No Clone Zone guarantee so you will always receive authentic starter kits straight from the manufacturer. Never take a risk on a site that may sell you a copy. In addition, our Low Price Guarantee and free shipping make us the logical choice if you are trying to save money on your vaping purchases. We have one of the largest selections of top rated devices in the world, so you can always count on us to have the device you're after. If you ever have a problem with one of your devices, our 15-day return policy makes it easy to make a claim and have your device exchanged or replaced. We also have a 90-day warranty on our products so you can let us know if you receive an item that is damaged in any way. All of this, plus our incredible community of vapers, are what makes us the best!